What We Do | Nearly 60 Years Of Making A Difference. AVI has been pioneering sustainable initiatives since our founding in 1960. We’ve always looked at ways to conserve and reduce unnecessary waste. In fact, that’s a philosophy that John Payiavlas, AVI’s founder and Chairman of The Board, was raised with and has practiced in his own business endeavors. Today, with more than 9,000 team members, we still integrate environmentally conscious practices in every facet of our operations. Each day we bring new ideas, concepts and know-how to our green goals. Converted from single-serve condiments to a bulk-serve program to save packaging and waste. Shifted to pull-down napkin dispensers to reduce landfill waste. Use recycled plates/containers, napkins and cups (hot and cold) when possible. Removed tray liners at most of our locations. Conserving energy by limiting preheating time for equipment, reducing lighting, utilizing exhaust fans only when necessary and more. Reducing food waste with new production records and a stronger emphasis on batch cooking. Using ENERGY STAR equipment where possible. Converting our fresh food machines to LED lighting. Removing lighting from machines to save on energy, where applicable. Packaging many of our food selections in recyclable containers. Recycling food ingredient containers including 5-gallon buckets, 55-gallon drums and cardboard. Eliminated 20% of our packaging on many of our entrée platters and soups. Reducing landfill waste by converting outdated machines into condiment stations and storage cabinets. Recycling all scrap metal, wood, plastics and cardboard used in the production process. Purchasing many of the same make and model vehicles to allow for interchangeable part usage. This ensures parts can be reused in other company vehicles instead of becoming waste. Utilizing used motor oil from our corporate fleet of over 1,000 vehicles to heat the Fleet Maintenance Center. Sending worn tires to a facility to be shredded and used as drain fill material, tire derivative fuels and playground/track mulch. 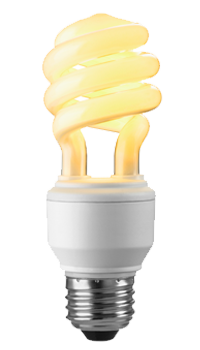 Changing many of our incandescent light sources to fluorescent lighting due to its considerable life span and energy savings. Encouraging the use of reusable mugs in all coffee machines. Recycling items such as paper, bottles and inkjet cartridges. Powering down of computers each night for energy savings. We are committed to excellence in all we do, in our professional lives as well as in our personal lives. We treat excellence as a way of life in the delivery of our product, our service and our relationships. AVIFoodsystems.com | AVIFresh.com | AVInutriSOURCE.com | Contact Us | © Copyright 2014. AVI Foodsystems, Inc. All Rights Reserved.